When I reviewed the Google Pixel XL last year, I called it “easily the best phone that Google has produced”, but with the Pixel 2 & Pixel 2 XL this year, they don’t feel like they’re the absolute best, at least in the hardware department but they’re still excellent phones overall. 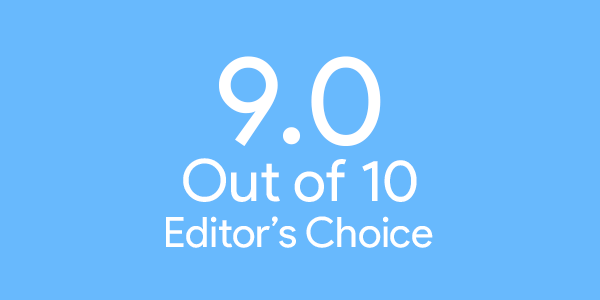 I’ve been using the Pixel 2 XL for a few weeks, and it’s easily one of the best phones released this year. Even though I tested out the Pixel 2 XL, it is virtually identical to the Pixel 2, other than the screen size and some colour options and price. So for clarity sake, I’ll just be referring to the Pixel 2 XL. This is where my first gripes begins, with the Pixel phones last year, Google went for a premium design by using metal and glass. 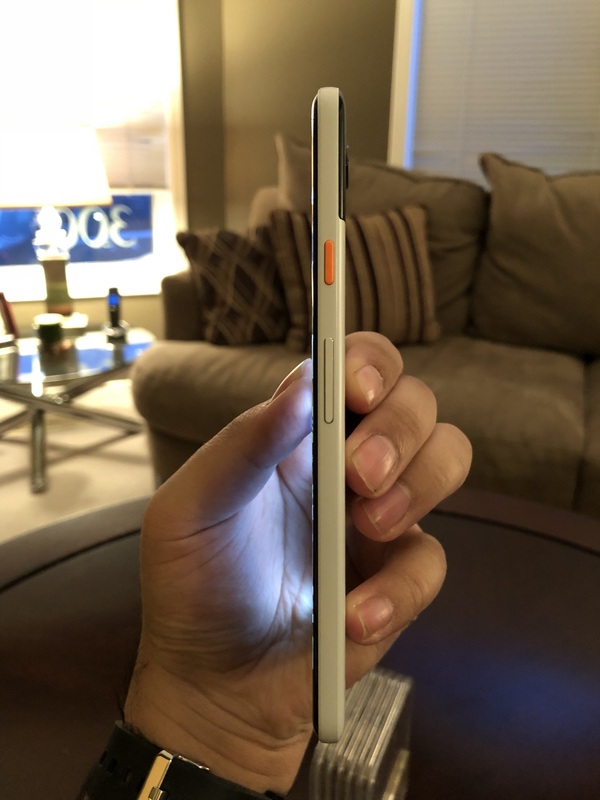 But with the Pixel 2 & Pixel 2 XL, Google decided to go with a less premium design. The Pixel 2 XL is made from glass and aluminum but it feels like it’s made out of plastic, which makes it seem like it’s not as premium. The Pixel 2 XL does feel solid in the hands and it doesn’t feel that large with it’s 6-inch display, it feels smaller than it actually is. The Pixel 2 XL’s screen has a 6-inch pOLED QHD+ display with an 18:9 aspect ratio. The device also comes with stereo front-facing speakers which do sound good but not that amazing. On the right side of the device, is where you’ll find the power/lock button and volume buttons. On the bottom is the USB Type-C port, gone is the 3.5mm headphone jack. 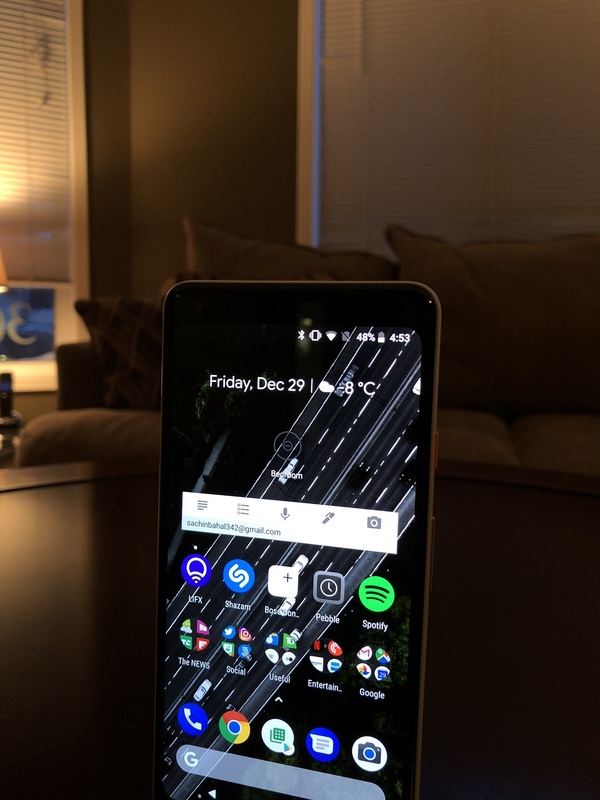 The display on the Pixel 2 XL looks great, no matter what angle. 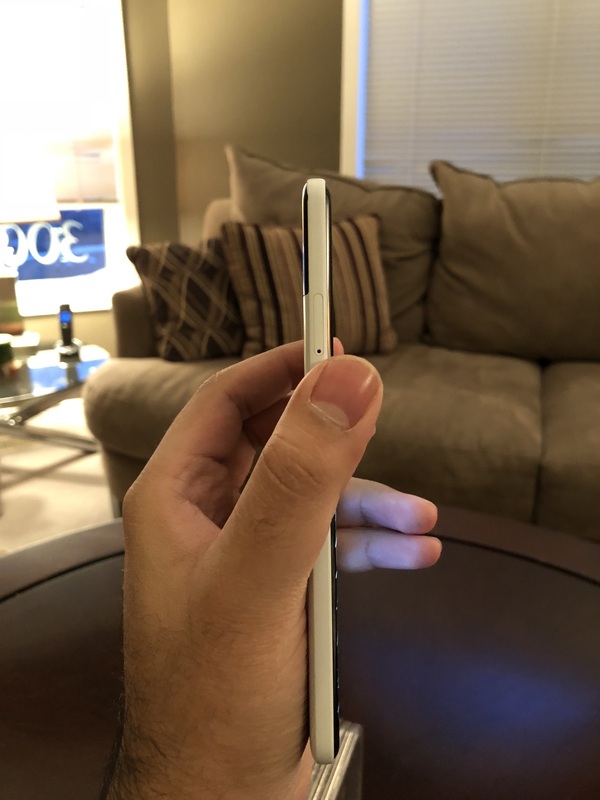 Last year’s Pixel XL felt slippery in the hand because of the all-metal design but this year, with the Pixel 2 XL, you can actually hold it in your hand without fearing that you’re going to drop it. The Pixel 2 XL is being powered by the Qualcomm Snapdragon 835 processor with 4GB of RAM. The device is IP67 water and dust resistant and has a 3,520 battery with support for Qualcomm Quick Charge. You can get up to 7 hours of battery life in just 15 minutes of charging the Pixel 2 XL. On the back, is where you’ll find the Pixel Imprint fingerprint sensor, which is fairly quick to unlock. The fingerprint sensor can also be used to gestures such as swiping down the notification/quick settings. 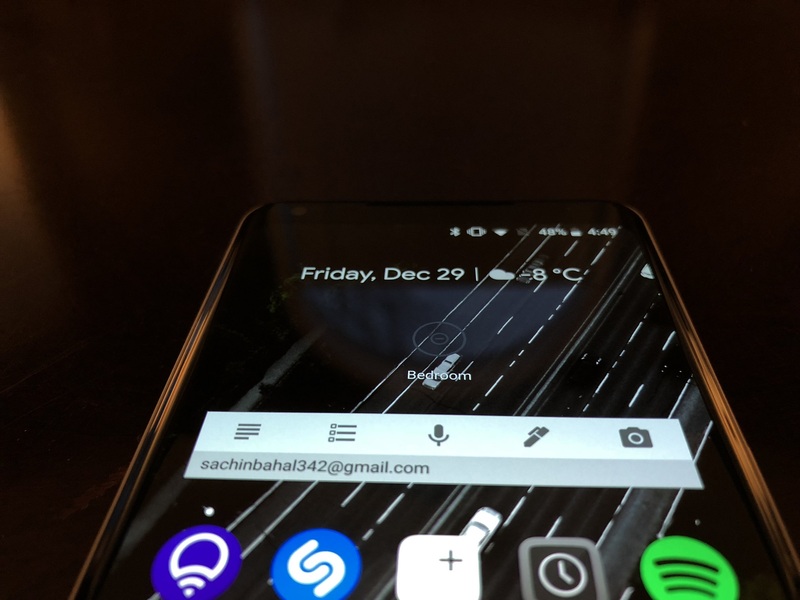 One feature that Google took from the HTC U11, is its squeezable sides, which are called Active Edge on the Pixel 2 XL. 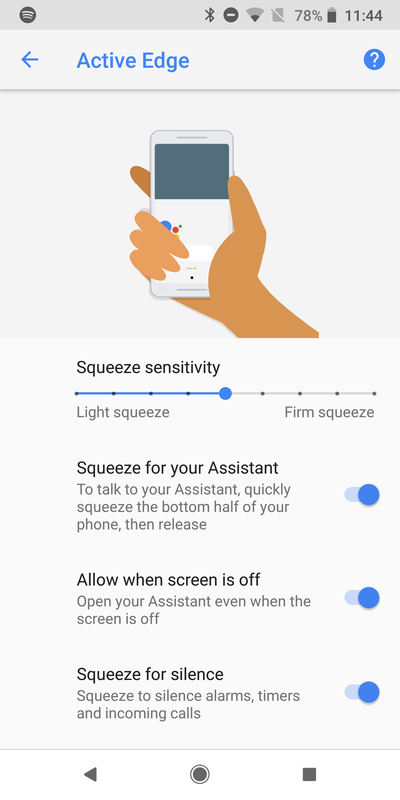 They allow you to squeeze to activate the Google Assistant and in the settings, you can adjust how intense you have to squeeze. The HTC U11 would allow you to launch apps or other settings when you squeezed it. 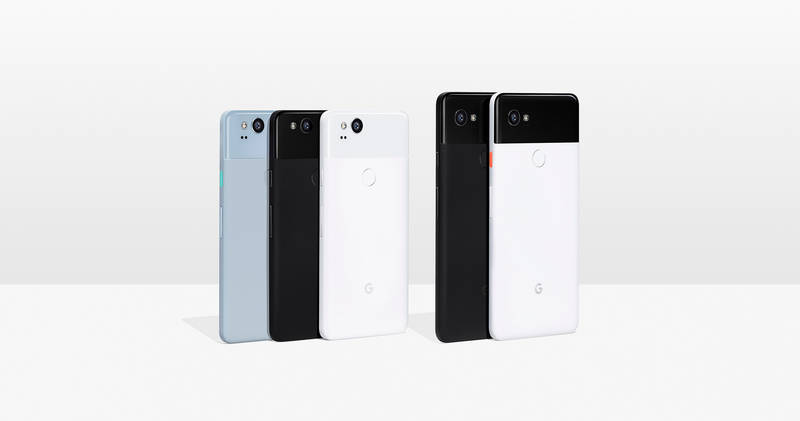 The Pixel 2 XL comes in two colours, Just Black and Black & White and two storage options, 64GB or 128GB. Pixel 2 colours on left three phones, Pixel 2 XL colours on right two phones. You can buy the Google Pixel 2 XL and the Pixel 2 from the Google Store. The Pixel 2 XL are running Android 8.0 Oreo. In my time reviewing the Pixel 2 XL, I got the Android 8.1 update which also brings the ability to use AR Stickers in the camera app. Android on the Pixel 2 XL is how Google intended it to be, essentially stock Android. So you won’t find any skins or anything on top. 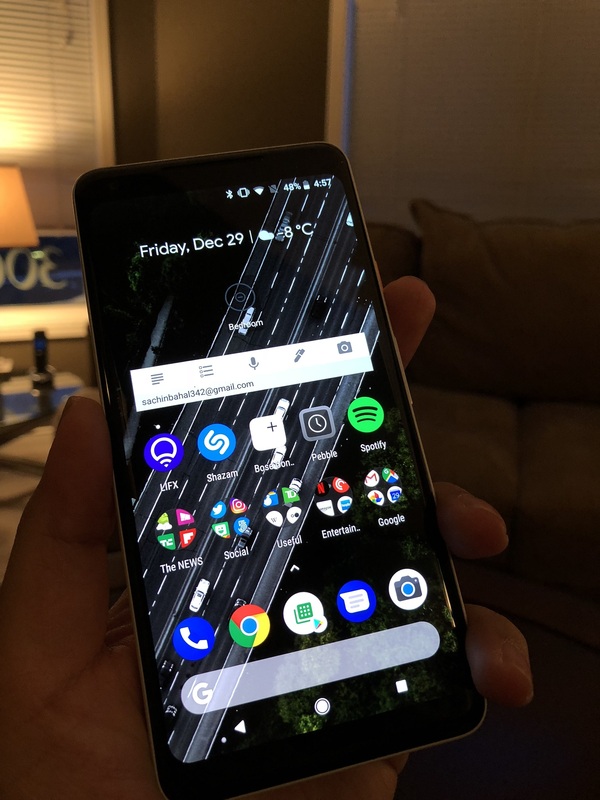 Google has slightly redesigned Android in 8.0 on the Pixel 2 XL as well as the Pixel Launcher. 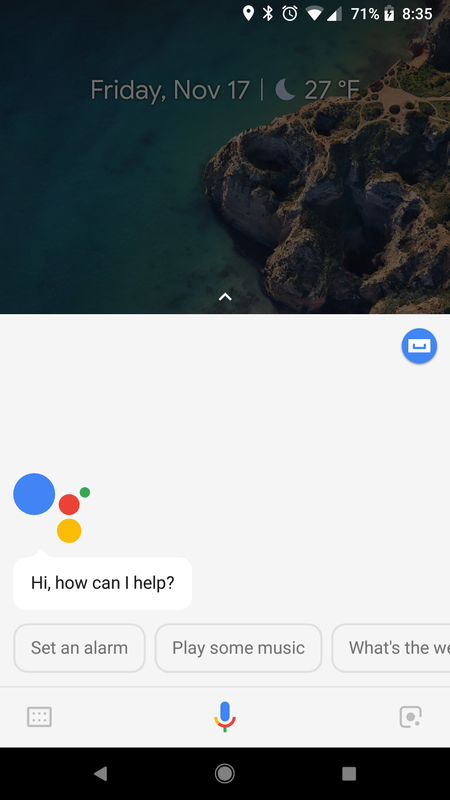 The Google Assistant has gotten improvements since first launching with the Pixel phones from last year, and the Assistant will continue to evolve and get better over time, the more you use it. 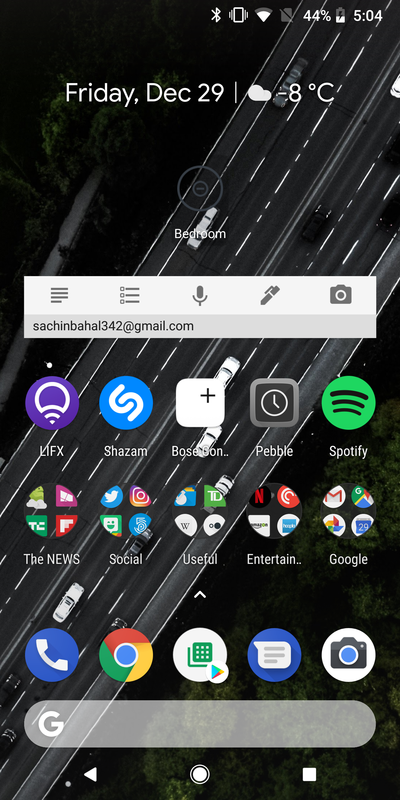 The Pixel Launcher on the Pixel 2 XL has moved the search bar from the top of the homescreen to the bottom, because it’s more accessible. 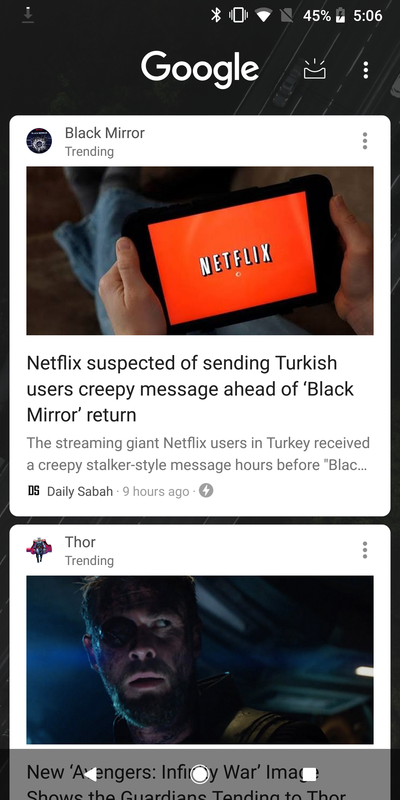 When you swipe to the left of the main homescreen, you get the Google Feed which basically mimics your feed within the Google app. The notification and quick settings panel now has an off-white colour scheme, compared to the black and blue and white colour scheme on Android 7.1 on the Pixel XL last year. If you use a dark/black wallpaper, then the notifications and quick settings panel turns black but the settings screen is still the off-white colour scheme. The Pixel 2 XL still comes with an option to contact Google support 24/7 within the settings app. Another feature that is exclusive to the Pixel phones, is Google Lens. The feature allows you to use your phone’s camera to bring up relevant information by visually analyzing what you point your camera at. So if you were to point at a famous landmark, Google will be able to tell your more information about it. As of right now, Google Lens can only analyze texts, landmarks, art, books, movies and barcodes (including QR codes). For the most part, Google Lens does work well but there was a few occasions where it wouldn’t be able to analyze what’s it sees but I’m sure Google Lens will get better over time, just like Google Assistant has. Google Lens is also implemented in the Google Photos apps, so you can visually search items in your existing photos. Google Lens can be found on the bottom right corner of when you activate the Google Assistant (to the right of the microphone). The Pixel 2 XL has a 12.2-megapixel camera which is also the highest rated smartphone camera by DxOMark with a 98. The camera comes with both OIS (Optical Image Stabilization) and EIS (Electronic Image Stabilization). New this year, is a Portrait mode which use one camera to add a Bokeh effect to your phones, this works on the rear-camera and the front-facing camera. Portrait mode is using software rather than dual-lenses. For the most part, the Portrait mode on the Pixel 2 XL works well but it can sometimes look rough around the edges since most of the work is being done by software. With the Android 8.1 update, it brings AR Stickers to the Pixel phones, these allow you to insert your favourite characters into the real-world and have some fun. 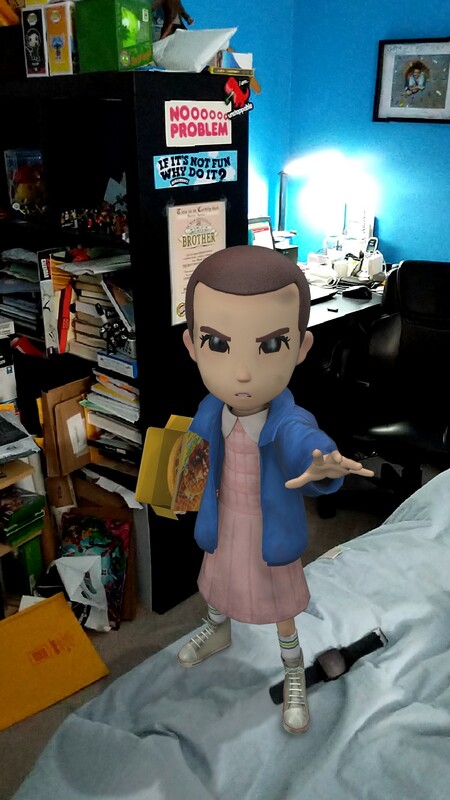 There are AR Stickers for Star Wars, Stranger Things and if you put more than one on-screen, they can interact with each other, so you could have Eleven attacking a Demogorgon. AR Stickers are fun at first but can get old fast. Photos and videos look amazing on the Pixel 2 XL, it’s super quick and colours just pop. The camera really shines in low-light situations as well. 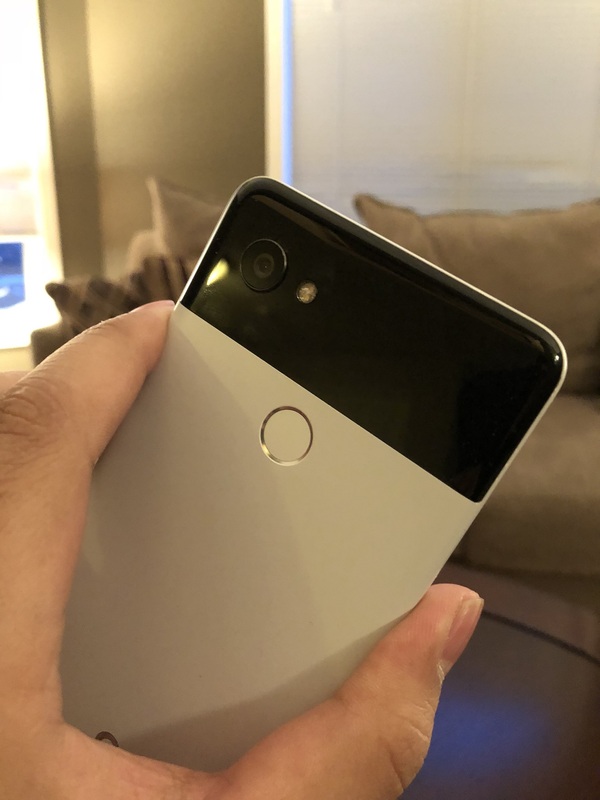 The Pixel 2 XL’s camera can record video up to 4K at 30fps or 1080p at 30/60/120fps and slow-motion video at 720p at 240fps. The front-facing camera is 8-megapixels and can record 1080p. 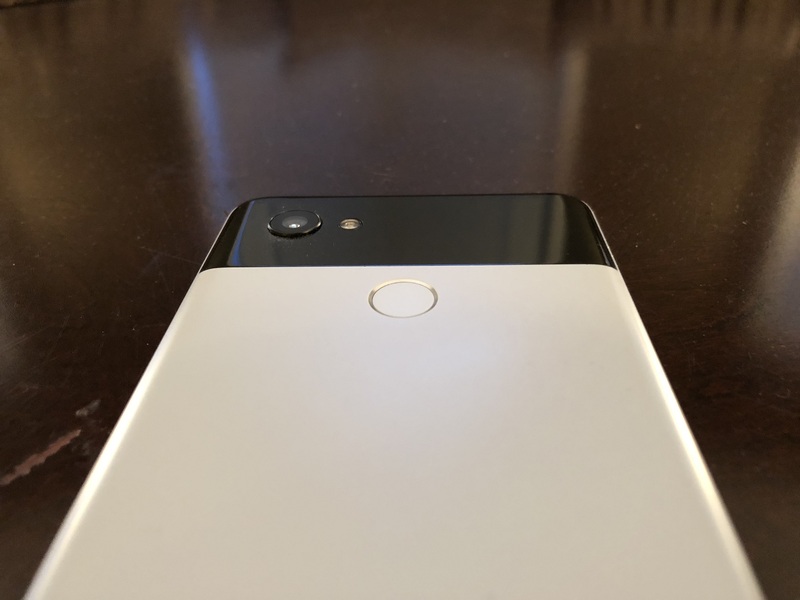 Just like the Pixel phones last year, the Pixel 2 XL comes with Unlimited Google Photos storage at original quality but only until 2021, as compared to forever with the 2016 Pixel phones. Overall, I really like the Pixel 2 XL, it has the best camera out there and feels like a solid phone in the hand and you get the benefit of getting fast Android updates because of the stock experience on the phone. But if you’re looking for a more premium feeling phone, then you should be looking at something like the Galaxy Note8 or Galaxy S8 or iPhone X or iPhone 8/8 Plus.